In Japan, the color of the leaves change from Hokkaido, the northernmost land. The leaves’ colors change first from Taisetsusan range, the roof of Hokkaido in mid-September, and the autumnal tints gradually advance south. Hokkaido is rich with forests where broad- and needle-leaved trees cohabit, making an amazing landscape with the contrasting three colors of red, yellow, and green. Also, golden autumnal tints are peculiar to Hokkaido, where white birch and larch trees are abundant. [Sounkyo Gorge]Enjoy autumnal tints and famous hot spring at a gorge with numerous fantastically-shaped rocks. Sounkyo is located at one of the entrances of Daisetsuzan National Park. This is one of the most prominent scenic spots in Hokkaido, where precipitous cliffs continue for about 24 km, in line with Ishikari River. 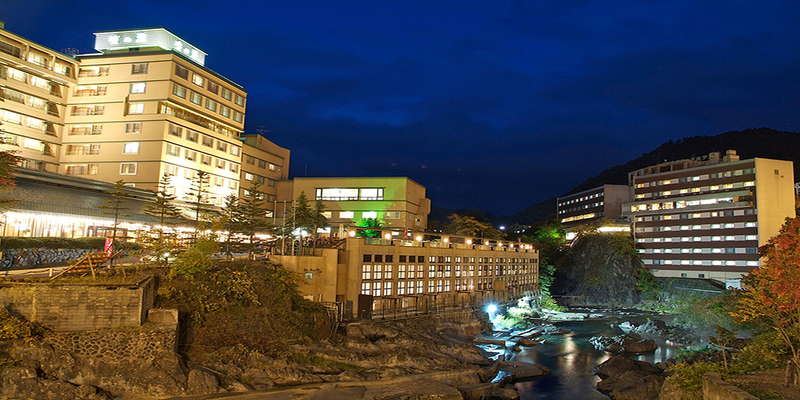 Sounkyo Onsen, along the gorge in a cloud of steam will be the base of Sounkyo sightseeing. 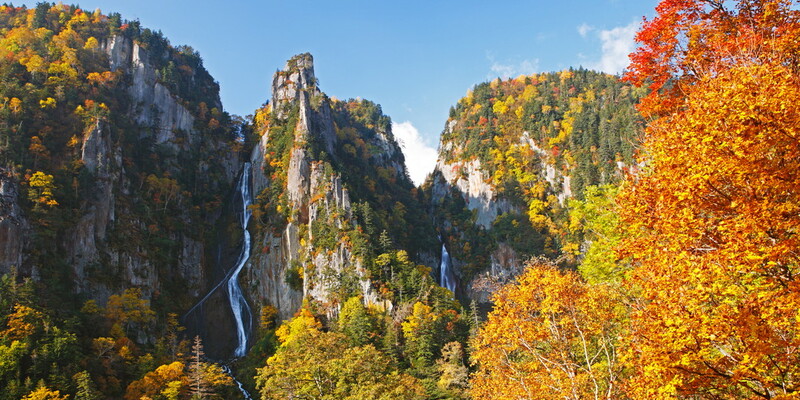 There are several spots for autumn leaves within the gorge, such as “Koyo Waterfall,” which is about ten minutes walk from Sounkyo Onsen, the panoramic view of mountains seen from ropeways going to and from spa district, “Oobako and Kobako,” offering powerful scenery of titanic cliffs composed of columnar joints. Especially, “Waterfall of Meteor and Waterfall of Galaxy,” which are about ten minutes drive from spa district, offer a masterpiece of dynamic autumnal leaves. Waterfall of Meteor, with a fall of 90 m and Waterfall of Galaxy, with a fall of 104 m flow close to each other, creating a magnificent autumn landscape along with red and yellow leaves of painted maples and rowans. [Jozankei Valley]Enjoy autumnal tints and famous hot spring at a gorge with numerous fantastically-shaped rocks. 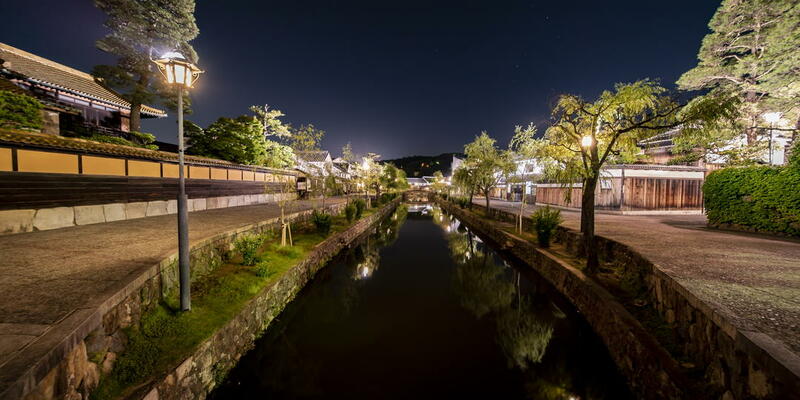 Jozankei is a gorge surrounded by mountains of upstream Toyohira River. 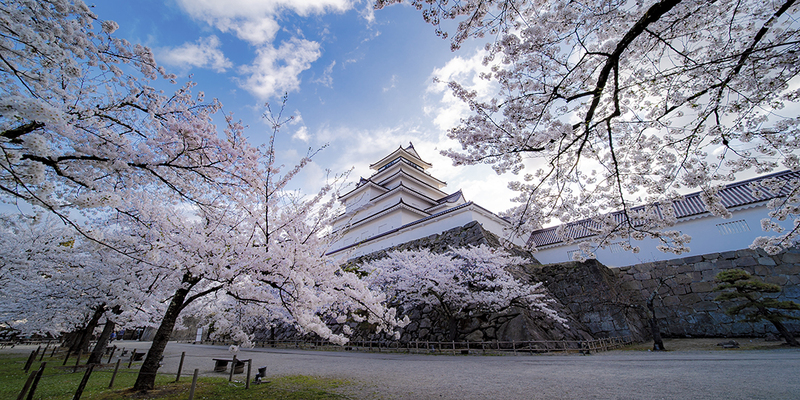 This place has been renowned as “Sapporo’s retreat,” since abundant amount of hot springs has been welling up within the gorge. At the promenade stretching between spa district and stream, you can appreciate the splendid scenery of autumnal leaves painting all over the mountain. Especially, the view from “Futami-tsuri-bashi Bridge” located along the route is amazing; when you look up, a panoramic landscape of autumnal leaves in red and yellow mosaic of rowans, painted maples, Thurber’s magnolia, Mongolian oaks, and etc. 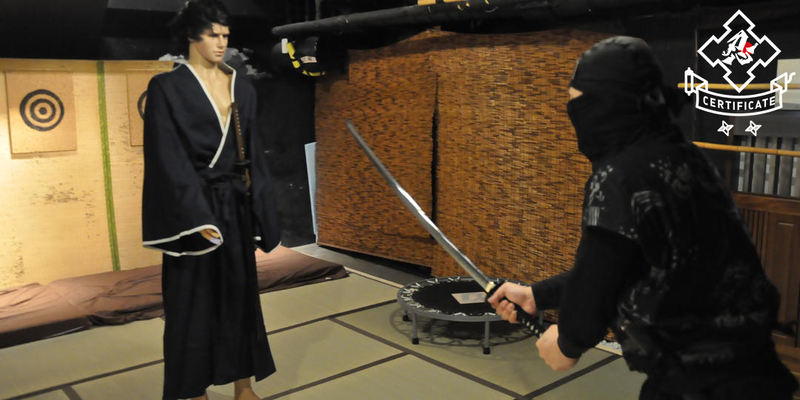 is right before your eyes. From the bridge, you can look over “Kappa Pool,” mystically reflecting the seasonal colors of the sky and trees upon the surface. The legend of Kappa takes root around the area, so, Kappa became the symbol of this spa; you will find sculptures and monuments resembling Kappa all over the place, such as “Statue of Kappa Daio” at Futami Park located along the promenade, as well as Jozankei spa district. Within the spa district, there are day spa facilities; watching autumnal leaves while taking a bath is also an extraordinary experience. 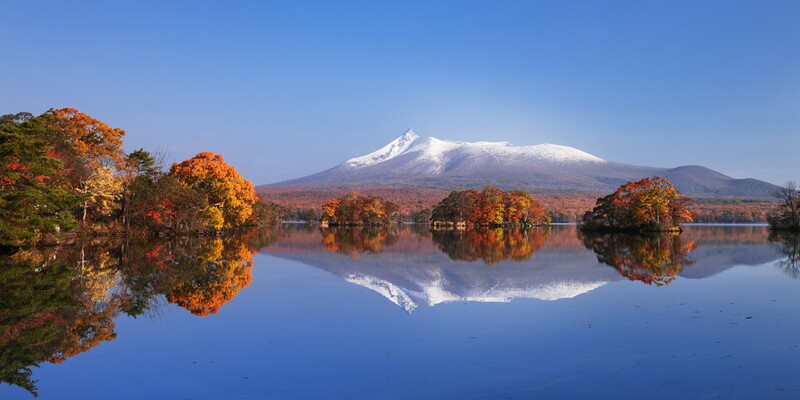 [Onuma Quasi National Park]Spot for autumn leaves with fine view of Mt. Komagatake, offering lots of recreational alternatives. Onuma Quasi National Park is rich with beautiful landscape of lakes and colonies of small islands, with Mt. Komagatake of impressively lax contour as background. The trees of maple, beech, oaks, and etc. in areas by the water--such as Onuma Lake, Konuma Lake and Junsai Swamp--which were made by eruption of Mt. Komagatake--turns their leaves into vivid autumnal colors. You can enjoy a refreshing walk at the promenade by the lake, which connect Onuma Park Plaza and small islands, while watching autumnal leaves on the shore. The place offers many recreation including cycling/driving excursion road by Onuma Lake’s shore, canoeing/boating on the lake, and sightseeing boats. You can enjoy hiking up to Uma-no-se (elevation 900 m) of Komagatake; the view overlooking the whole Onuma Quasi National Park from Uma-no-se is simply fantastic. 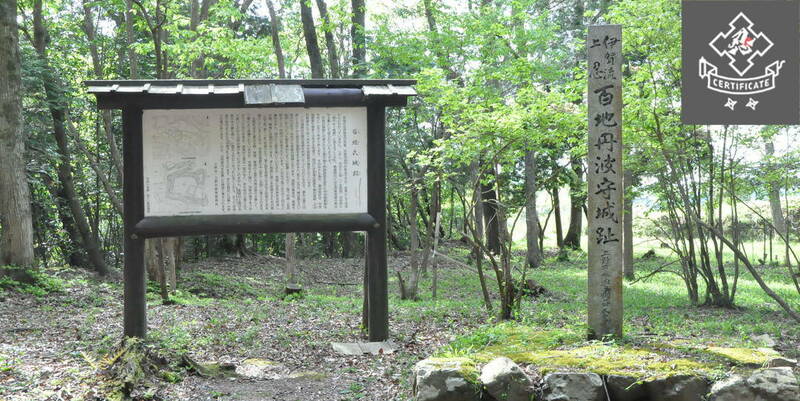 Shiretoko Goko is a quiet scenic spot surrounded by primeval forests, representing World Heritage Shiretoko Peninsula. The area around the five lakes scattered about is equipped with elevated wooden path and ground pathways where you can experience the atmosphere of primeval forests. The elevated wooden path is furnished with electric fence to protect visitors from bears. 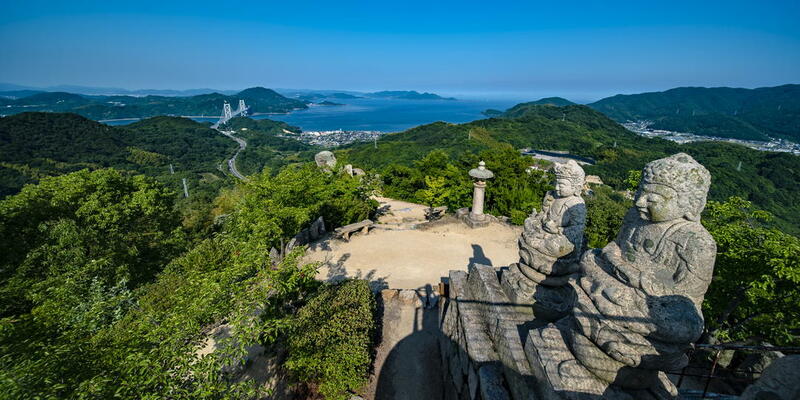 From the observatory at the elevated wooden path, you can enjoy a grand panoramic view of Shiretoko mountain range. During autumn, the leaves of Japanese maples, rowans, Mongolian oaks, and etc. change their colors, leaving a splendid gradation in yellow and red. 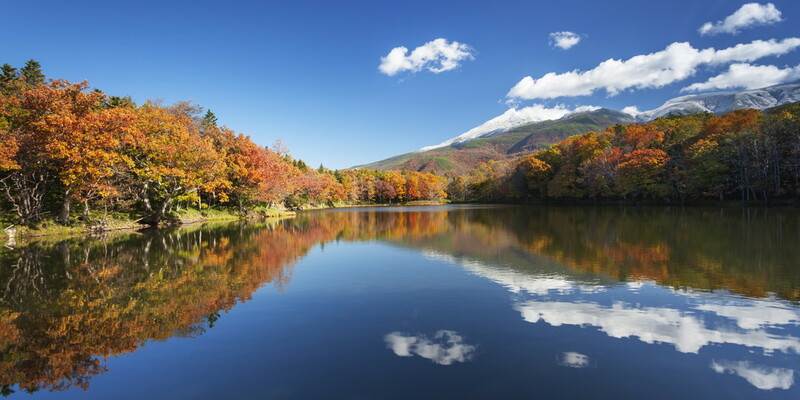 On sunny days, the snow-capped peaks of Shiretoko mountains and colored forests are reflected on a mirror-like lake, offering a breathtaking autumnal scenery. Lake Shikotsu is an open water lake in northernmost Japan, with crystalline water. Its maximum depth is 363 m, boasting the second depth next to Tazawa Lake in Akita. This mysterious lake sets off the beauty of autumn foliage by the shore. 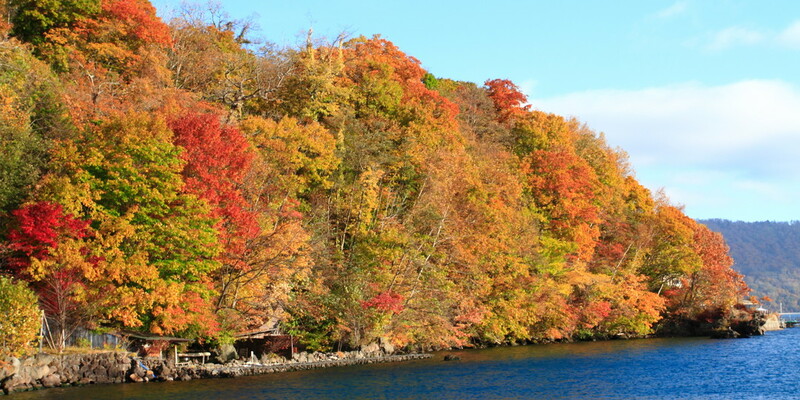 The trees by the shore are full of variety--including Japanese linden, mountain maple, painted maple, rowan, and gingko--which present the leaves in a wide variety of red and yellow tints. You can appreciate autumnal tints from everywhere, including nearby road, lakeside, and sightseeing boats; the imposing figures of mountains such as Eniwa, Monbetsu, Fuppushi are also gorgeous. Every early October, a festival called “Shikotsuko Koyo Matsuri” takes place, offering visitors mikaku-jiru (a local soup) made from red salmon--specialty of the lake--and mushrooms. Lake Akan is a habitat for marimo (a kind of seaweed which is also a special natural monument of Japan) and a scenic spot representing the east of Hokkaido. 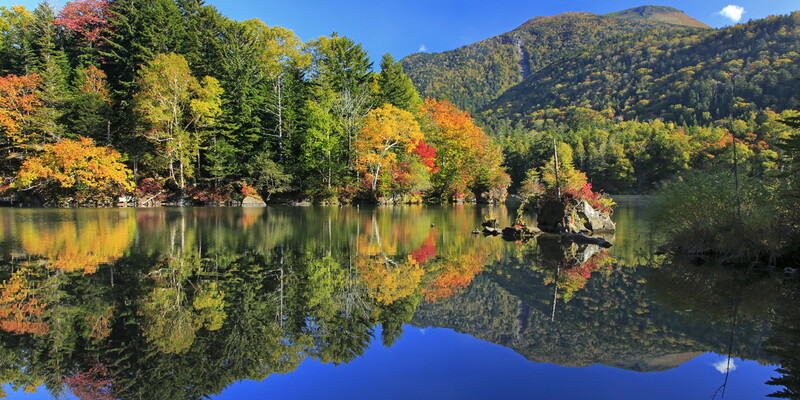 From lakeside, sightseeing boat, or canoe, you can enjoy the autumnal tints of Mt. Akan at the east side of the lake; if you proceed about 4 km south from the lake to Kushiro, you will also find “Takimibashi Bridge,” a site famous for autumn foliage. For the best place to enjoy at lakeside, we recommend Bokke-sambashi Pier at the end of “Bokke Nature Sightseeing Trail” stretching from Lake Akan Eco-Museum Center within Lake Akan spa district. You can enjoy the mystifying scenery of Bokke created by mud volcano along with Mt. Oakandake ornamented with leaves of mountain maple, katsura, wild vine, rowan, beech trees and the like. On the other hand, “Takimibashi Bridge” offers a refreshing landscape presented by colorful leaves and the source of Akangawa River that flows like a cascade. Biei is a peaceful town with gently sloping hills spreading out. 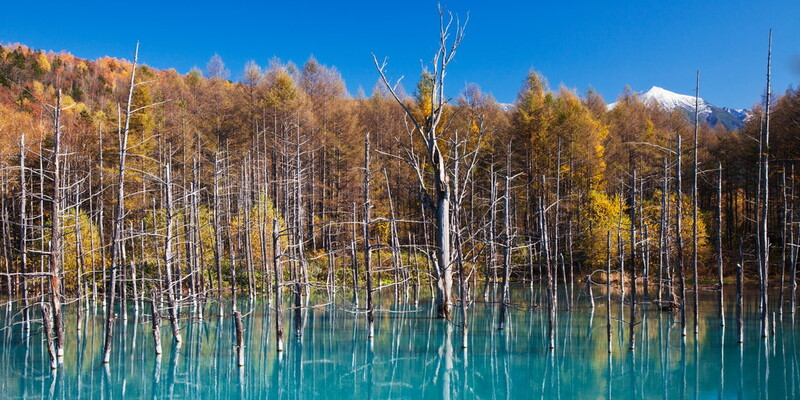 You can find a photogenic spot everywhere in this town, and the most popular place is called “Shirogane Aoi-ike (Shirogane Blue Pond).” The surface is in mystic blue, while withering larch trees add further taste. During the season of autumn leaves, the yellow tints of larch and beech trees reflect upon the surface, decorating the blue pond in gold. Biei River, near the promenade of this blue pond is also called the blue river, offering a wonderful contrast of blue stream against autumnal tints. At this blue pond, they illuminate the area during nighttime from November, right after the season of autumn leaves; the pond will display a mysterious winter landscape made of white and blue. ※We wish to express our heartfelt sympathy to everyone who suffered from damages caused by Hokkaido Eastern Iburi Earthquake in September 2018. If you are planning to visit Hokkaido, please check the most updated information before your journey.